On January 20th, Bermuda will be represented at John Chung’s World Cup Open Martial Arts Championship in Reston near Washington DC. 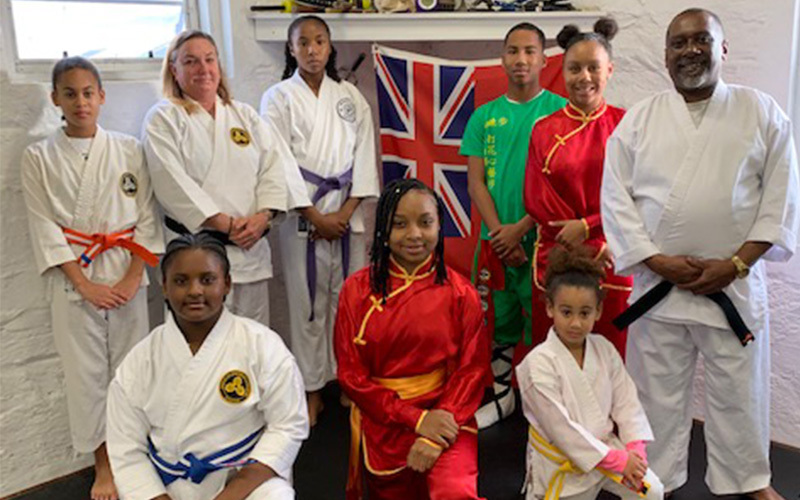 Competing under the auspices of the Bermuda Karate Organization are [standing] Kianna Aguilar-Vaughans, Andrea McKey, Dominique Brown, Kentaro Bean, Milahn Powell, André Joseph, [kneeling] Callahj Simons, Jashae Allen-Lamontagne, Amarriah Vaughans and [missing from photo] Kent Bean. Also traveling is instructor David Simons. All will competing in forms, several in weapons forms and three in sparring as well.